Gold ticked up after an eight-day losing streak on Monday, but languished near its lowest in three months as surging US nonfarm payrolls boosted expectations of a December rate hike in the United States. Employers outside the farming sector added 271,000 jobs in October, the most in 10 months, and the jobless rate fell to a 7-1/2-year low of 5 per cent, data on Friday showed. Economists had forecast nonfarm payrolls increasing 180,000 and the unemployment rate remaining at 5.1 per cent. As investors increased bets that the first rate increase in nearly a decade will come next month, they sent non-interest-paying gold tumbling to $1,084.90 an ounce on Friday, the lowest since August. 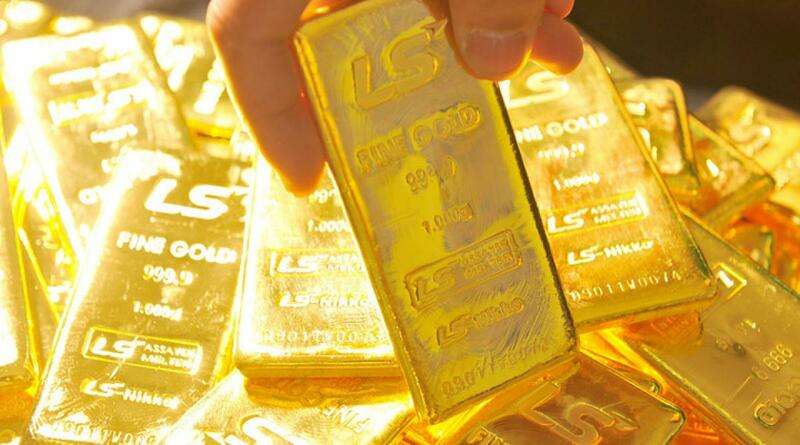 Spot gold rose 0.5 per cent to $1,093.20 an ounce by 0331 GMT on short covering. "Further downwards pressure is expected on the precious complex in the lead up to the December FOMC meeting," MKS Group trader Sam Laughlin said, referring to the Fed's Federal Open Market Committee. "A recovery towards $1,100 isn't out of the question, however, expect to see offers capping a run higher at this level," he said. Following the jobs report, futures markets were pricing in a 70 per cent probability of a December rate hike, up from 58 per cent before the data. The dollar hit its highest in nearly seven months, while US. Treasury yields also jumped. With gold's technical picture deteriorating, analysts expect more declines. The next major support level for gold is at a near-6-year low, according to ScotiaMocatta analysts. "We are bearish gold and feel that the risk is for a test of the $1,044 level," they said. Gold last traded at that level in February 2010. Assets in SPDR Gold Trust, the top gold-backed exchange-traded fund, fell 0.40 per cent to 669.09 tonnes on Friday, the lowest in nearly three months, as investors exited bullion. Hedge funds and money managers cut a bullish stance in COMEX gold as they trimmed a silver net long position from a record high in the week to Nov. 3, U.S. Commodity Futures Trading Commission data showed on Friday. China likely added about 14 tonnes of gold to its reserves in October, according to Reuters calculations from central bank data on Saturday. Among other precious metals, platinum fell to a one-month low of $930.50 an ounce. Palladium slid nearly 1 percent, and was trading near a six-week low.